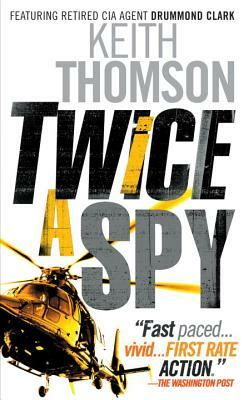 Twice the speed, twice the trouble, twice the fun—Charlie and Drummond Clark return in this riveting, fast-paced sequel to Once a Spy. Charlie and Drummond Clark are on the lam, hiding out in Switzerland near a clinic which is testing revolutionary treatments for Alzheimer's on Drummond. With them is NSA operative Alice Rutherford, who has been working to exonerate them, but before she can make any headway, she is kidnapped by a terrorist group. To get her back, Charlie and Drummond are forced to plumb Drummond's damaged memory for the location of a secret cache of weapons, then turn over the most lethal of the lot. At the same time, they must find a way to thwart the terrorists before they can use the weapon for unspeakable destruction. In the tradition of Robert Ludlum, with a witty twist, Thomson's second novel featuring a former spy and his son once again poses the question: What happens when a former CIA agent can no longer trust his own mind?